Global Synthetics provides a complete range of geo-composite drainage products and systems for complete point source water management. Global Synthetics drainage products and systems manages stormwater as a resource and enhances the social and environmental amenity of the urban landscape. 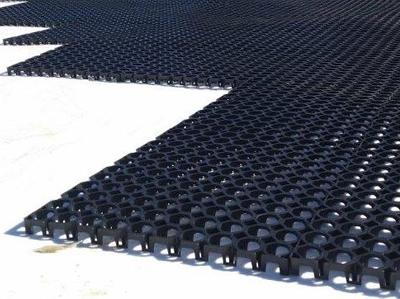 Global Synthetics drainage products are lightweight and efficient to install. The products are a replacement for traditional aggregate drainage treatments. ProDrain® Drainage Cell is a lightweight three dimensional geo-composite used for subsurface water management. The Prodrain® Drainage Cell polypropylene core is moulded into a unique profile and then wrapped in a filtration geotextile which then provides a complete void space for the water to travel horizontally without any obstruction. Its lightweight, high compressive strength makes the product ideal for roof gardens & podium landscaping, retaining walls, sports fields & golf courses, under drains for slabs and foundations and subsurface drainage for permeable driveways and car parks.